I’ve just signed up on Microsoft’s new learning opportunity Microsoft Learn. 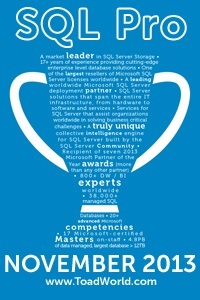 The main categories are Azure, Business Apps, and Windows Development. There seem to be quite a few classes for each category and at that this is still fairly new and I expect it will grow over time. Everything I’ve seen so far is free (my favorite price). There are a number of Learning Paths but they just seem to be a collection of courses that you can pick from. That said you can filter it down by Learning Path or Module so I guess there is a bit more to it than I initially thought. I’m sure I’ll keep discovering more as I play with what’s available. To get started I decided to take a class that I expect to find useful at work. The expected time to complete this course is a bit over an hour, so not a huge time investment. It starts with a quick intro and then you get right into a demo. The first thing you do is create a sandbox. You’re logged into your Azure account and a free sandbox environment is created for you. Next, an Azure Cloud Shell window is opened right in the browser. This is my first time using Azure CLI scripts so I found this particularly cool. Next, you are given the Azure CLI commands to create an Azure SQL Server & SQL DB. There isn’t a lot of explanation of what you are doing, it’s mostly copy and paste, but this is both the beginning of the course and an intermediate course so that’s probably reasonable. As I ran each of the scripts there was some time required for Azure to respond (not unexpected). This was actually pretty helpful since it gave me time to read the next step or two and review the command I’d just run. Not to mention put some notes here for this post. I can see how if you combine a lot of these scripts together into a single batch run it might be a go get a cup of coffee type experience. That said, it’s not a drive an hour home, eat dinner, hang out with the family for a bit, tuck the kids in, clean the kitchen, log back into work and hope everything’s done type of experience. The next step was to create an Ubuntu server to use with the rest of the session. This is one of my first couple of times working with Linux so I had to read everything very carefully and wasn’t overly comfortable. Not that that is a bad thing mind you. Then we installed mssql-tools on our new server. I have to say at this point I’m really impressed with how smoothly the process goes. I’ve done more than one course where I had to spend time figuring out what was going on because of minor issues here and there. Usually connectivity to my machine. Of course, having said that I got called away for a bit and my resource group timed out and everything disappeared. Getting it working again was a bit of a chore (although I did learn a few things) because the resource group name had changed. So important hint: Don’t start one of these courses unless you have time to finish it completely in one shot. Another hint is to keep a copy of notepad open. In several cases, I needed to keep an IP address, password, or even command to be used multiple times later. Once I was back in we went on to practice firewall setups (in multiple ways), discussed logins/users and created a new user and granting it access, dynamic data masking, and monitoring. This was done through a combination of CLI, Bash, T-SQL and the portal. We didn’t do exhaustive practice in any one area but it was more than enough to get a feel for what’s there. Overall I was very impressed. If I had to mention a downside it’s that I felt a bit rushed after the initial timeout (even realizing it was my own fault). I was a bit nervous I’d have to go back and create a whole new environment again. I kind of wish they had a timeout timer somewhere so I had a feel for how much time I had left. All of that said I’m really looking forward to more of these and I hope they are all of such high quality. I expect Microsoft to add web development course too.